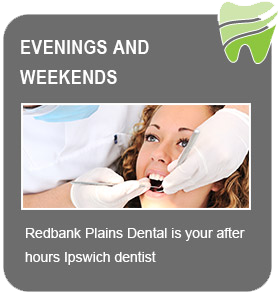 Achieve a beautifully straight smile with quality braces and orthodontic appliances from Redbank Plains Dental, located in the outer suburbs of Ipswich. Orthodontic treatments like braces and other appliances can help to improve the appearance of your smile while also improving the function of your teeth. Misaligned teeth and bite concerns may have an adverse effect on your overall health and well-being if left untreated. Having misaligned teeth or a crooked bite is not always just a cosmetic concern. Misaligned teeth can make you prone to gum disease if you have trouble flossing, and a misaligned bite could cause difficulties with eating and speaking. With braces and orthodontics you can achieve a more aligned smile as well as maintain optimum oral health. WHAT ARE THE BENEFITS OF BRACES AND OTHER ORTHODONTICS? WHAT ARE THE DIFFERENCES BETWEEN THESE ORTHODONTIC TREATMENTS? Traditional braces and clear braces are relatively similar. Both treatments can resolve a variety of misalignment and bite concerns. The main difference between the two is that the clear braces are more discreet compared to traditional metal braces. Both treatments sit over the front of your teeth, straightening and aligning them over time. The rapid maxillary appliance (RME) is a special appliance that is designed to widen the span of the jaw. The treatment is considered an effective way of speeding up the jaw correction process. This treatment is subjective to suitability. During your consultation, your dentist will take special care to consider all suitable alternatives to ensure your treatment plan is perfectly suited to your needs. HOW DO BRACES WORK TO CORRECT JAW DISCREPANCIES AND MISALIGNMENT? Applicable to both adults and children, orthodontic treatments will be able to correct your bite pattern as well as the positioning of your teeth. They work by gently moving your teeth and jaw into the correct positions and are adjusted over time to assist with the alignment process. HOW LONG DO BRACES TAKE TO ALIGN THE TEETH AND CORRECT BITE DISCREPANCIES? For many people braces treatment can take anywhere from 6 months to a few years but every patient is different. During your consultation, your dentist will assess your smile and recommend the most effective treatment to suit your unique bite and alignment concerns. 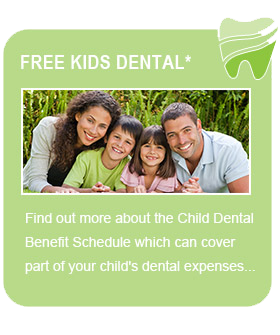 Are you unsure if you need braces? During your consultation and assessment, our Ipswich dentists will assess your smile properly and provide you with all the information you need if you decide that braces or another orthodontic treatment can help you. 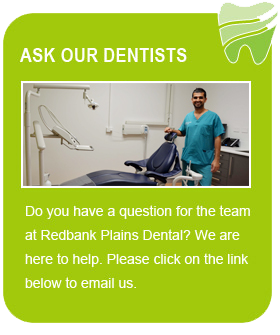 Find out more about braces and get to know our fantastic dentist and support team here at Redbank Plains Dental for more information.